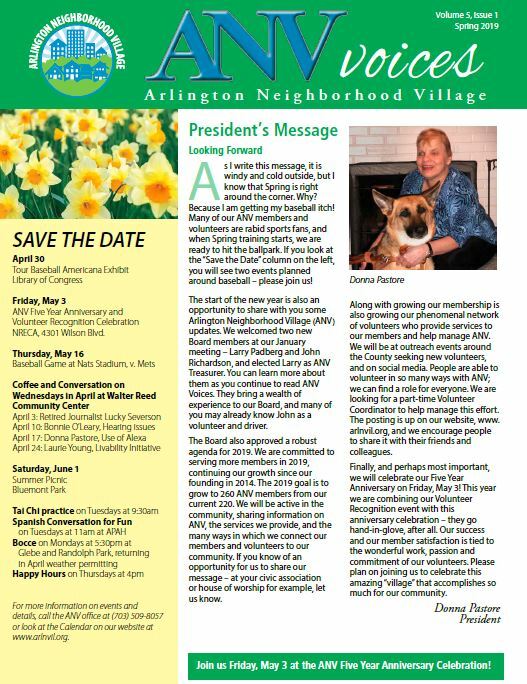 Our newsletter includes stories about our recent programs, social activities, upcoming events, member and volunteer profiles, safety tips, and more! I was pleasantly surprised when I went to pay for my 55+ membership and was told that ANV had already paid for it. That’s another nice benefit of ANV membership.